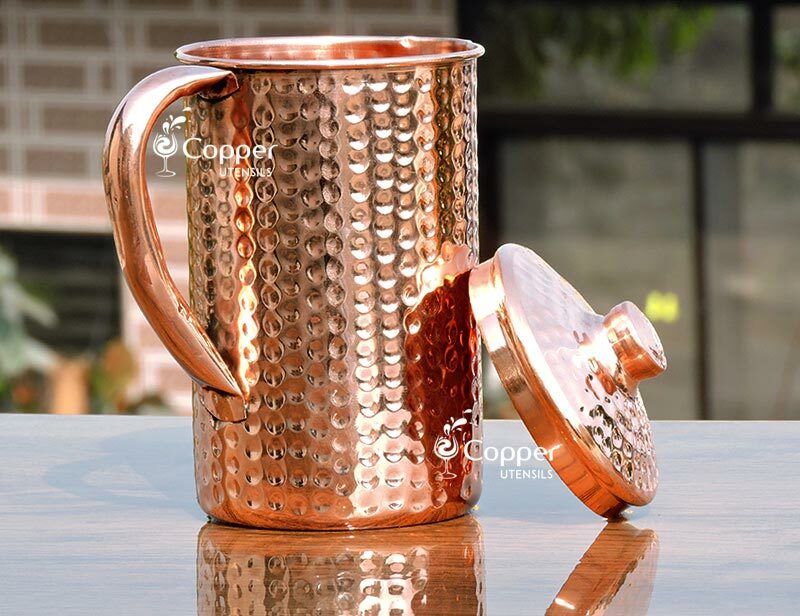 Traditional hand hammering pattern for added appeal. 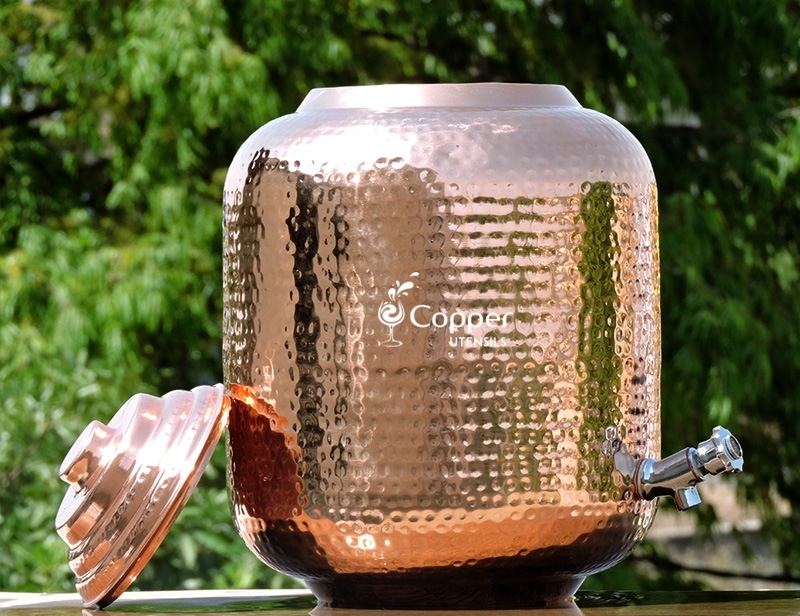 Stainless steel tap to dispense water easily. 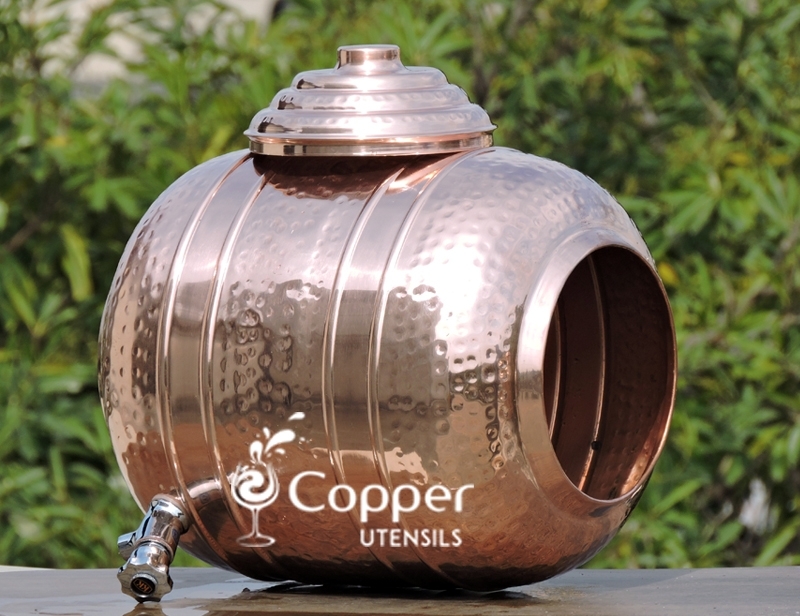 Comes with a well-fitted lid to prevent dust and dirt from entering the dispenser. 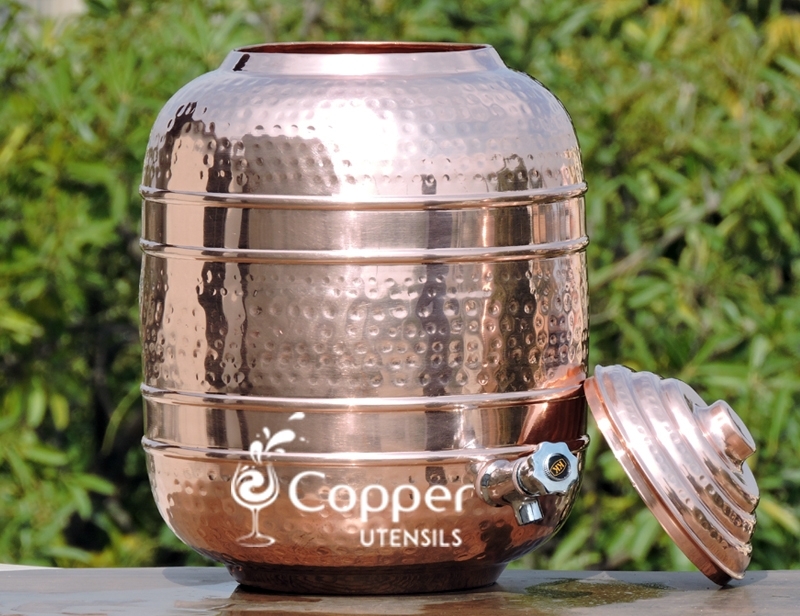 Easy to clean and maintain with the cleaning instruction leaflet. 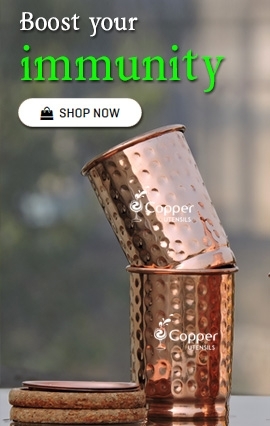 Makes for the perfect gifting option as well. 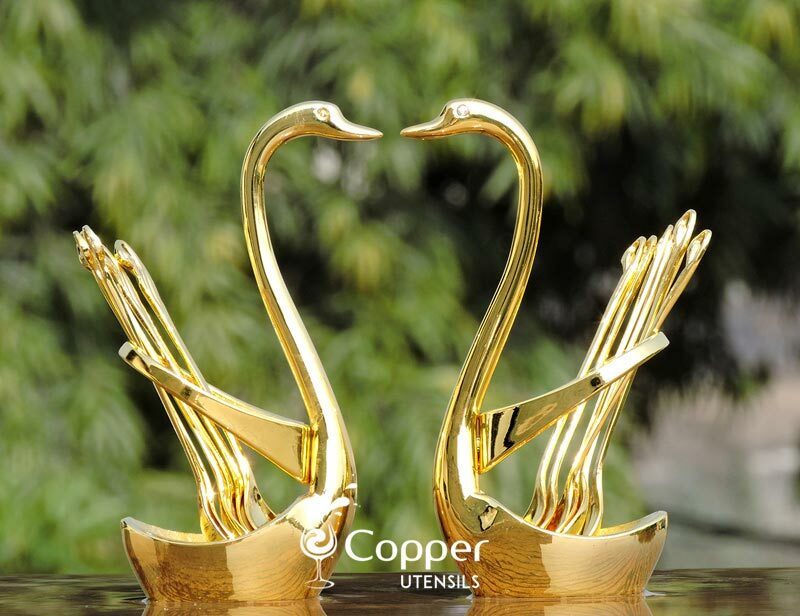 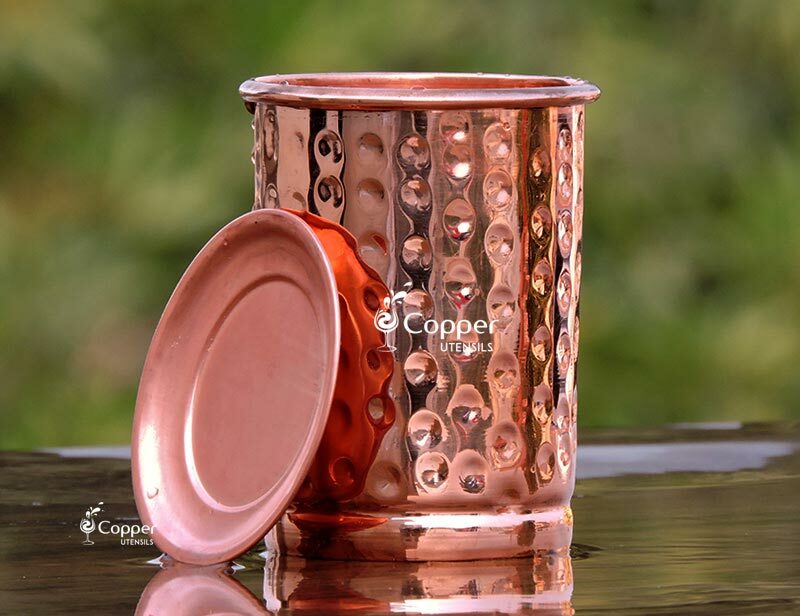 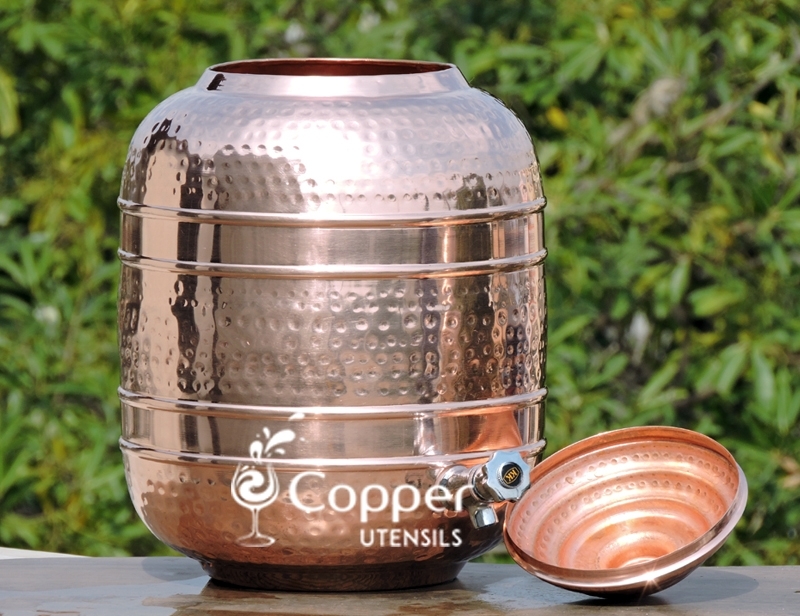 In the age where the human race is trying to fight off pollution which is one of the major causes for the deteriorating health conditions, copper utensils are nothing less than a ray of hope to improve human health. 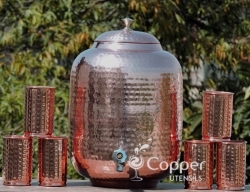 Copper utensils have been used for ages to improve the overall health of an individual. 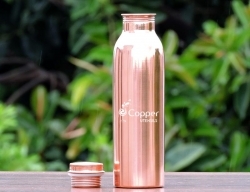 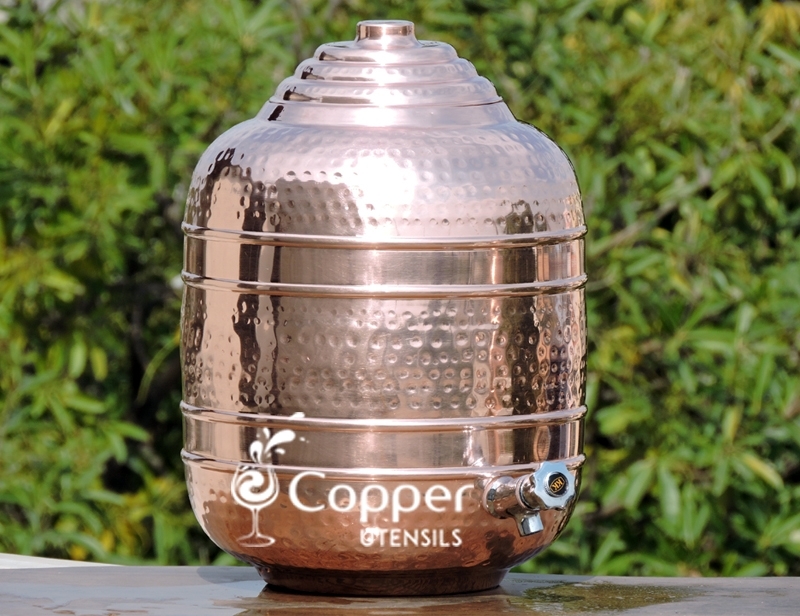 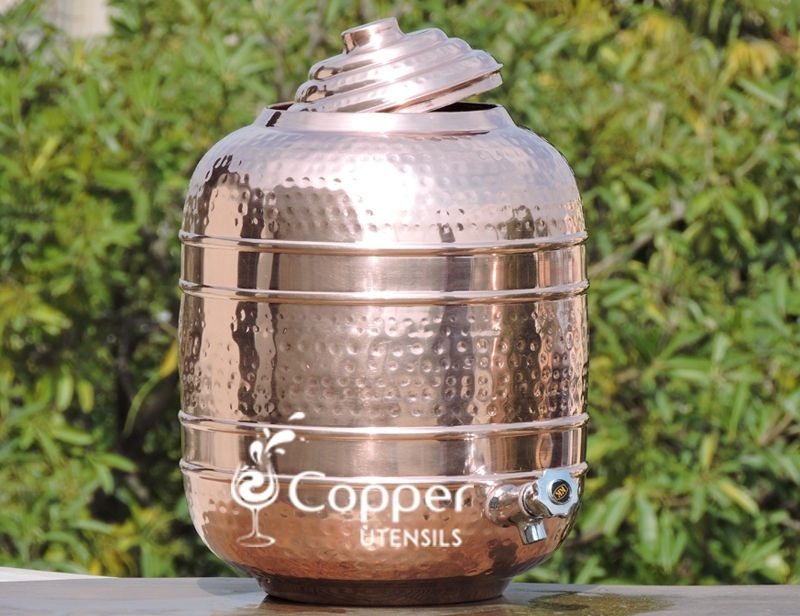 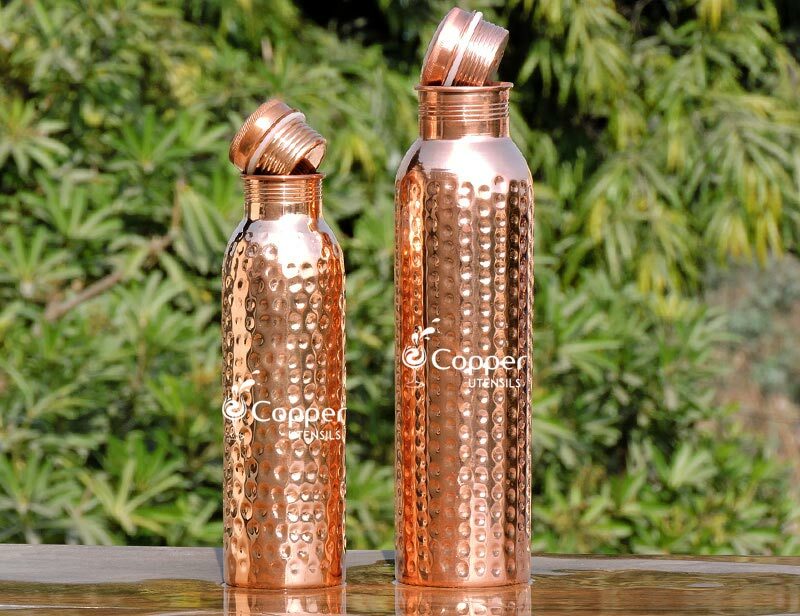 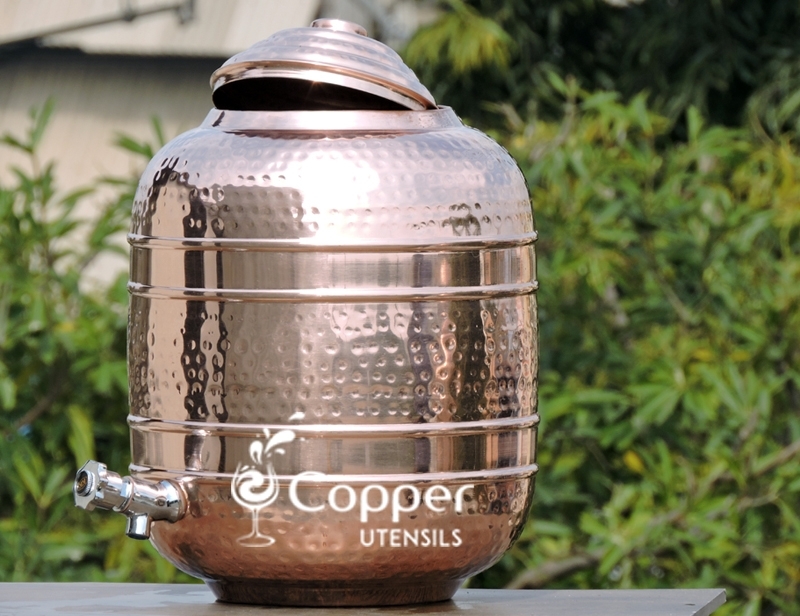 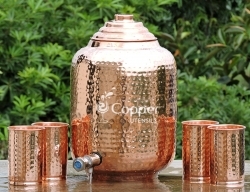 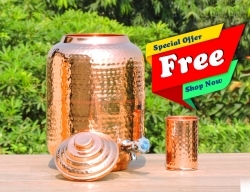 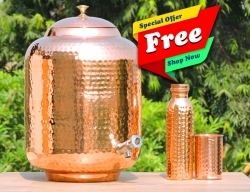 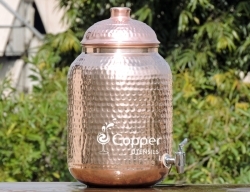 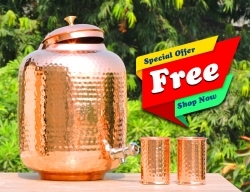 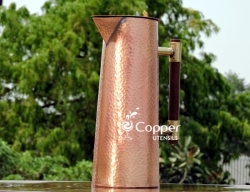 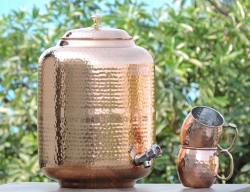 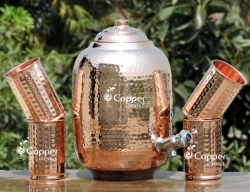 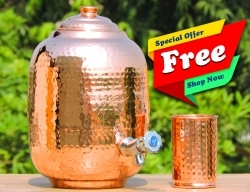 All you need to do is fill up the copper water dispenser with fresh drinking water at night and the next morning the copper charged water is ready for consumption.